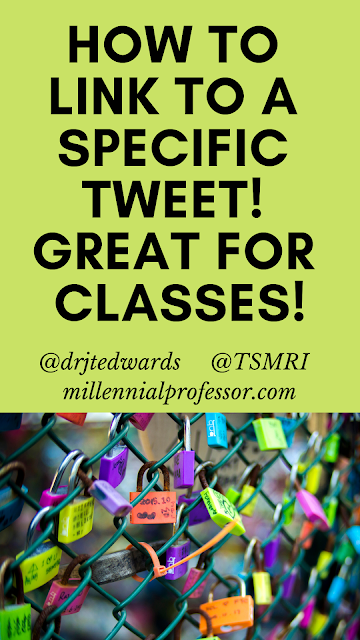 Dr. Jennifer T. Edwards - Texas Author, Researcher, and Social Media Trainer: How to Link to a Specific Tweet - Great for Classes! How to Link to a Specific Tweet - Great for Classes! Sometimes, it is very difficult for students and others to link to a specific tweet. This video highlights a VERY SIMPLE way to link to a tweet and to integrate it into a Google Document (or potentially in an email). How could you integrate this social media skill into your classes?